Essential reading for professional investors, risk managers, regulators, central bankers, and real estate professionals, Risk in the Global Real Estate Market: International Risk Regulation, Mechanism Design, Foreclosures, Title Systems, and REITs takes an international look at the ways in which U.S.-style constitutional laws, financial laws, and real estate laws in various countries affect global economics and risk; and analyzes specific constraints that deter market development such as Asset Liability Matching, inappropriate financial products, land title systems, inefficient constitutions and human biases. The sub-prime mortgage crisis (that began around 2006) and the Global Financial Crisis of 2007–2010 disrupted the economies of various countries and exposed many of the psychological, social, and economic problems inherent in the legal/risk infrastructure for mortgages, land title systems, REITs, securitization, and pensions. In this remarkable new book, Michael Nwogugu explains how these processes and statutes are unconstitutional and inefficient, and how they influence demand for housing, real estate prices, retirement savings, household wealth, consumer disposable income, marriage opportunities, job markets, crime, and regional economic growth. The resulting major economic and public health problems have continued to reduce the quality-of-life of nations, and continue to cause permanent declines in wealth, increases in crime and delinquency, high divorce rates, depression, and inadequate job creation, among other problems. The book examines a range of fields—including mechanism design, psychology, risk finance, and corporate governance; and emphasizes Constitutional economics as a distinct dimension of risk analysis. Risk in the Global Real Estate Market makes a compelling case about how constitutional torts increase information asymmetry, transaction costs, agency problems, and compliance costs, as well as inefficiency in real estate transactions. These problems, the book argues, are not unique to the United States, but also affect Commonwealth countries and other nations that have developed regulations that are similar to, or are based on U.S. commercial, securities, and or constitutional laws. Risk in the Global Real Estate Market presents a novel analysis of the sub-prime crisis (that first began in 2006), the failure of securitization (CMBS/MBS) markets, the Global Financial Crisis, and socio-economic problems caused by traditional mortgages and securitization. The book reveals that many of the statutes and processes that define mortgages, foreclosures, securitization, and REITs in the United States (and many common-law countries and nations that have adopted American-style real estate regulations) are fundamentally unconstitutional and inefficient, and have lasting negative effects on consumer psychology, the demand for real estate, price discovery in property markets, economic growth, and quality of life. The book examines the nature of constitutional torts and property rights as the foundation for business transactions and economic growth within the context of risk regulation, interstate commerce, takings, and legislation. 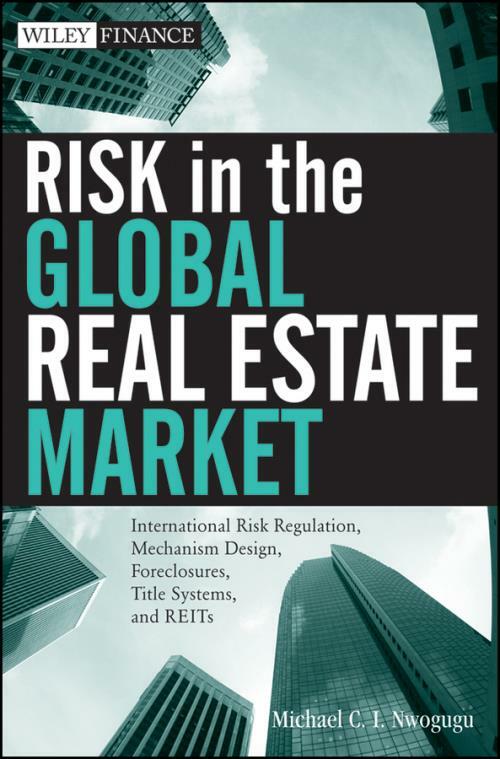 Risk in the Global Real Estate Market introduces new theories of consumer psychology and institutional dynamics in real estate transactions; presents new theories of takings, and also surveys psychology/psychiatry studies (based on data from various countries) that confirm the harmful effects of mortgages, securitization, and foreclosures. Using elements of mechanism design, Michael Nwogugu develops new efficient financial products (Mortgage-Alternatives products), and presents a policy framework for a unified “Mortgage-Alternatives” market for the CEE/CIS region and China. He also explains why Asset Liability Matching hinders lending, capital formation and risk management, especially in developing countries. MICHAEL C. I. NWOGUGU is an author and entrepreneur based in New Jersey; and is affiliated with two companies. Mr. Nwogugu has been a co-founder of several new ventures in the technology/Internet, business services, and healthcare sectors. He has reviewed articles for the European Journal of Operational Research and the American Statistician and has written and published articles on real estate, constitutional economics, and finance in international refereed journals such as Managerial Auditing Journal; International Company and Commercial Law Review; Journal of Derivatives & Hedge Funds; Applied Mathematics and Computation; Journal of International Banking Law and Regulation; Computer and Telecommunications Law Review; Journal of Risk Finance; Corporate Ownership & Control; International Journal of Mathematics, Game Theory, and Algebra; and Chaos and Complexity Letters. Mr. Nwogugu earned a graduate degree in business from Columbia University in New York City; and degrees in architecture from City University Of New York, and University Of Nigeria (Nigeria).